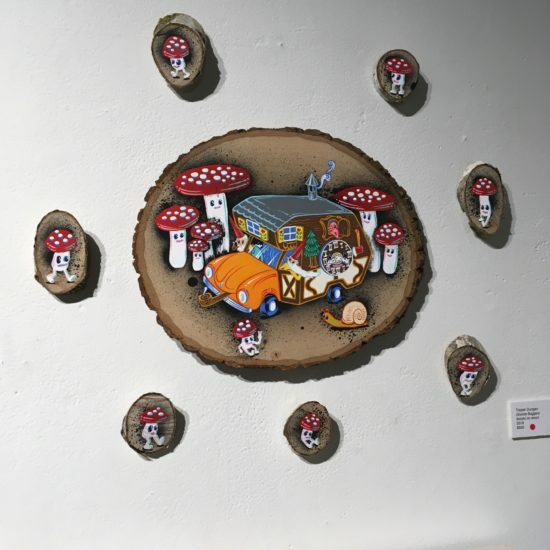 I have work in this fun group show at Oakland’s very own The Compound Gallery. 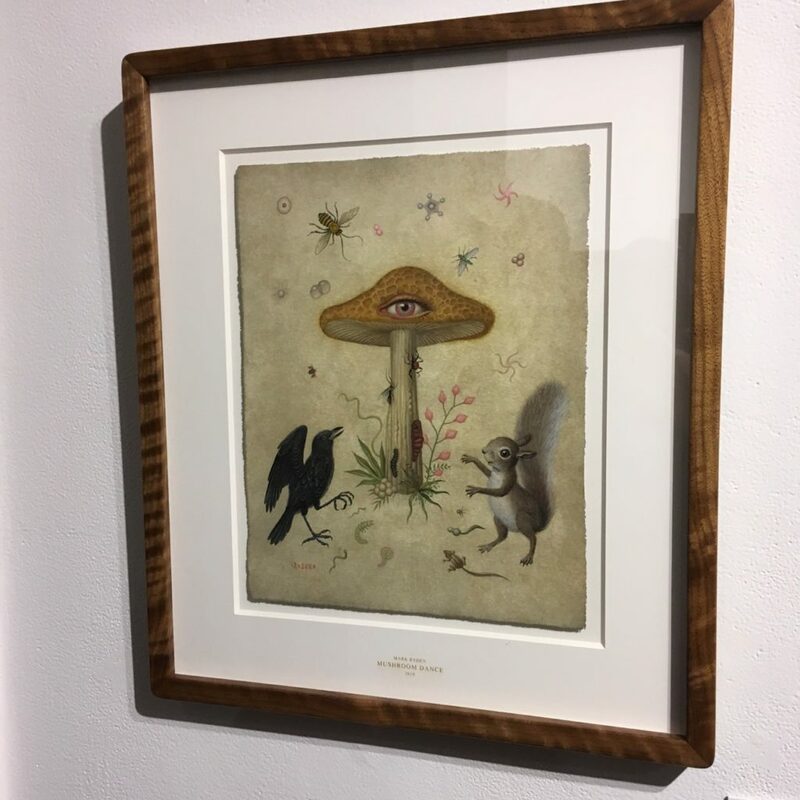 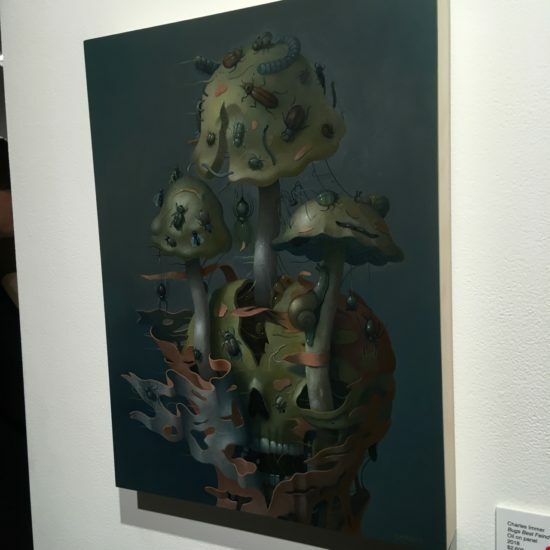 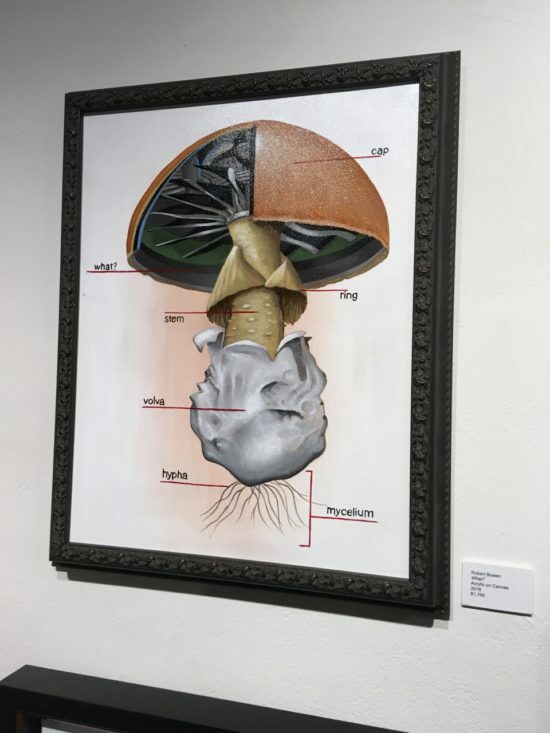 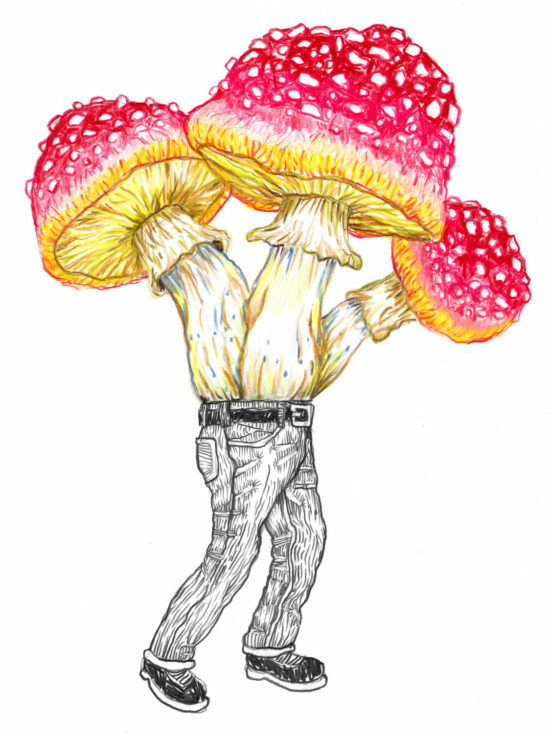 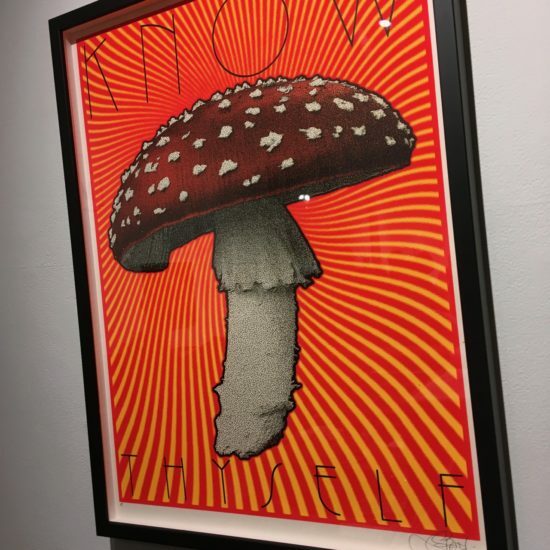 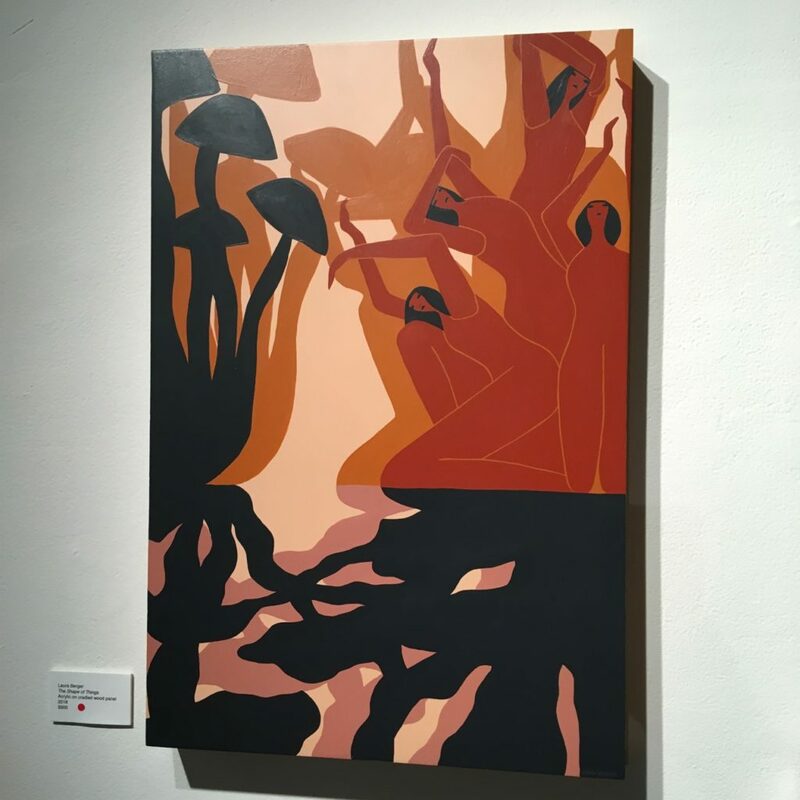 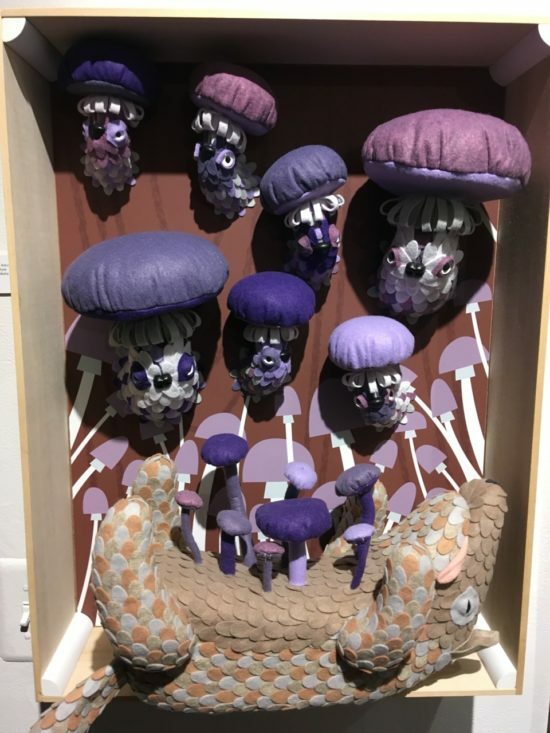 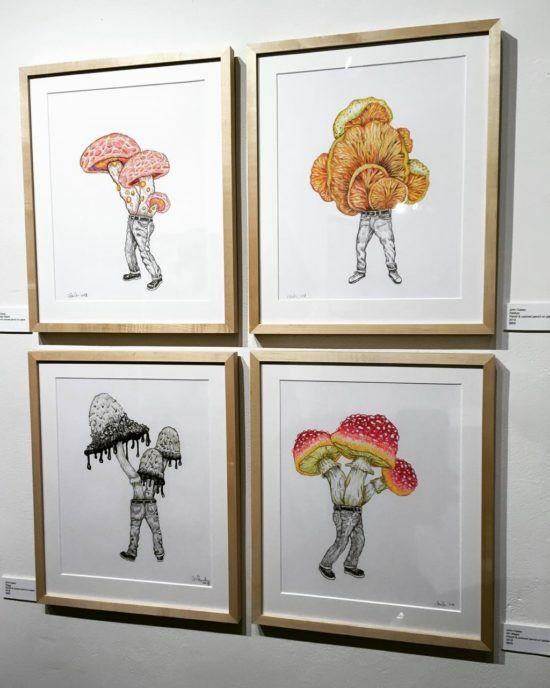 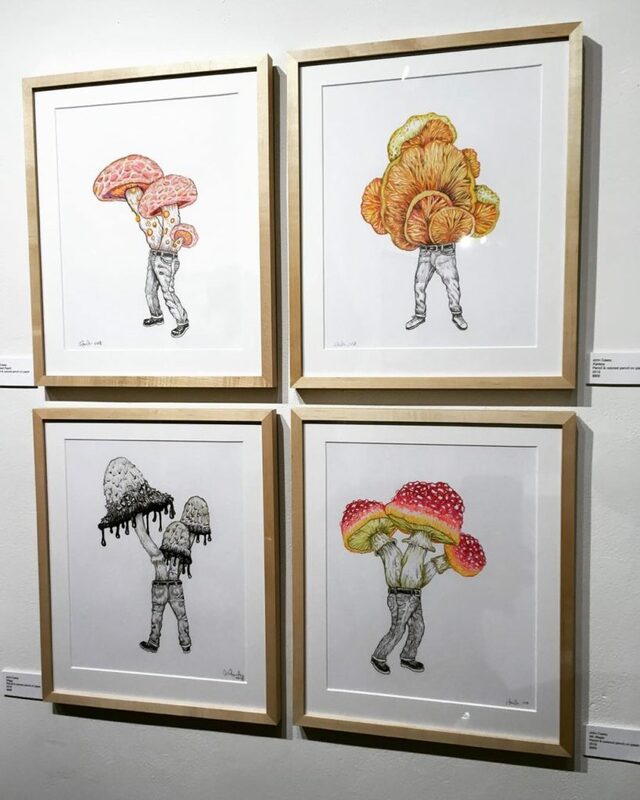 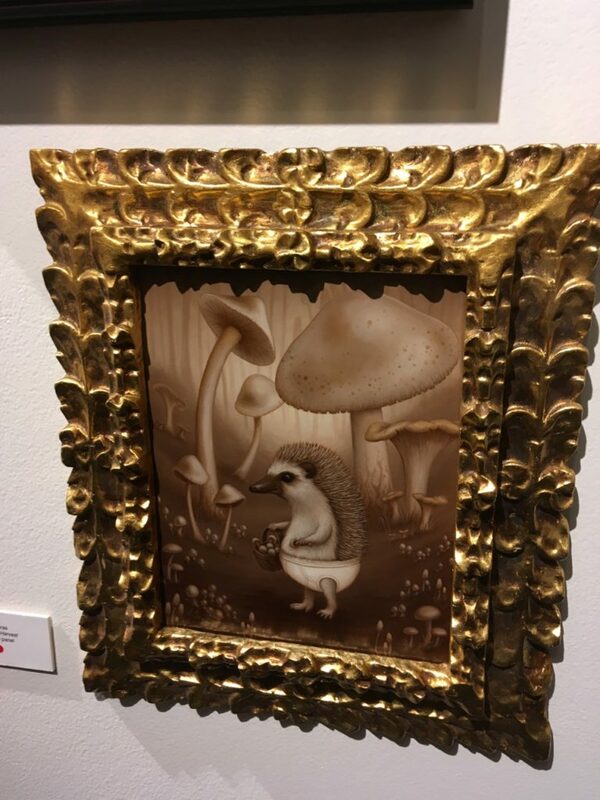 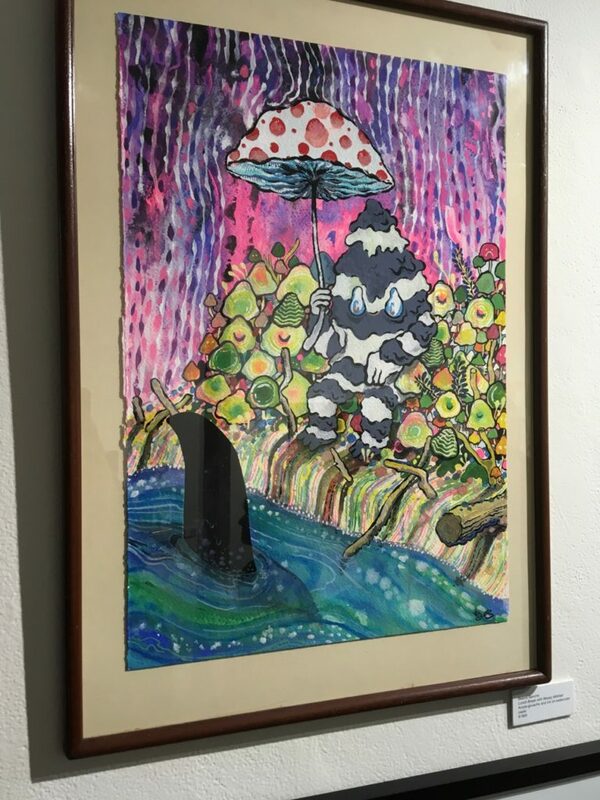 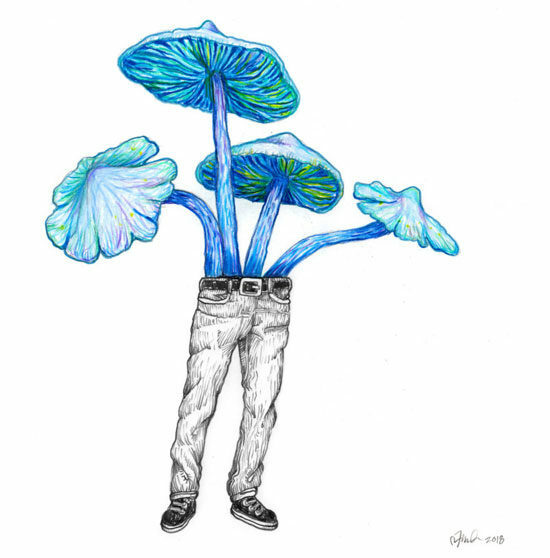 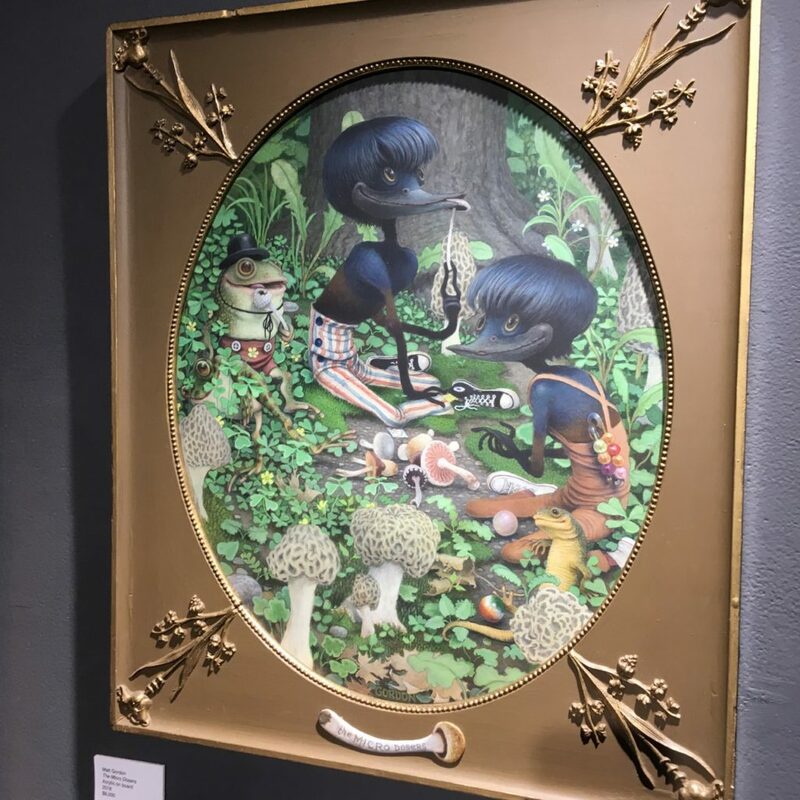 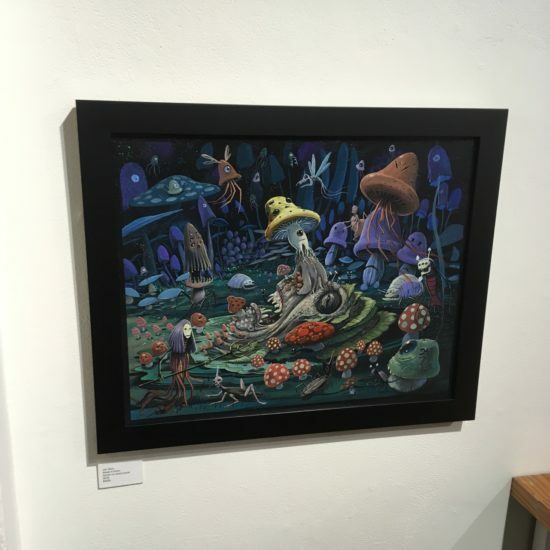 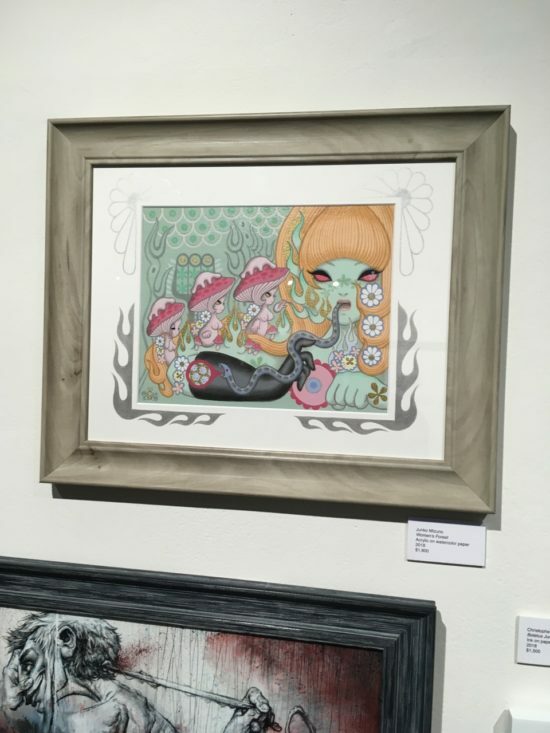 Hi-Fructose Presents: The Art of the Mushroom 🍄 a lil show of over 50 artists paying tribute to the elusive, deadly, phallic, mysterious, and tasty mushroom. 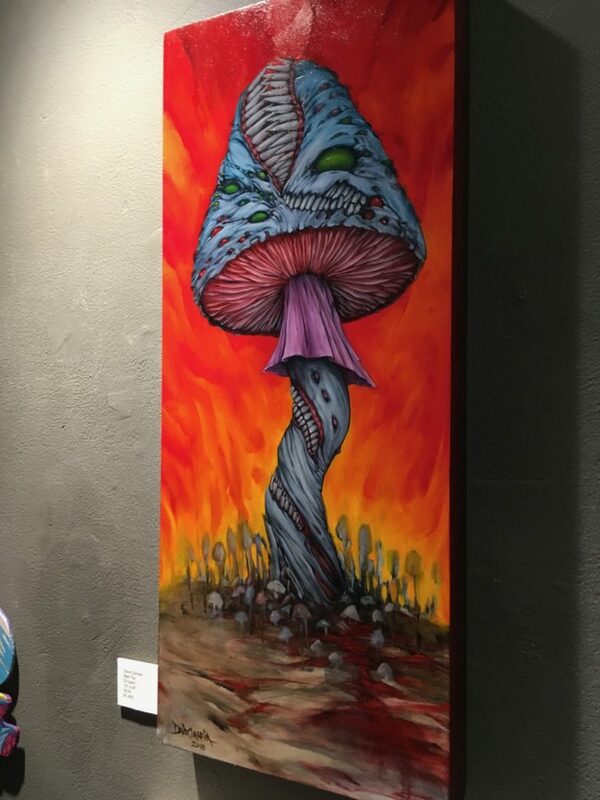 At The Compound Gallery in Oakland Oct. 20. 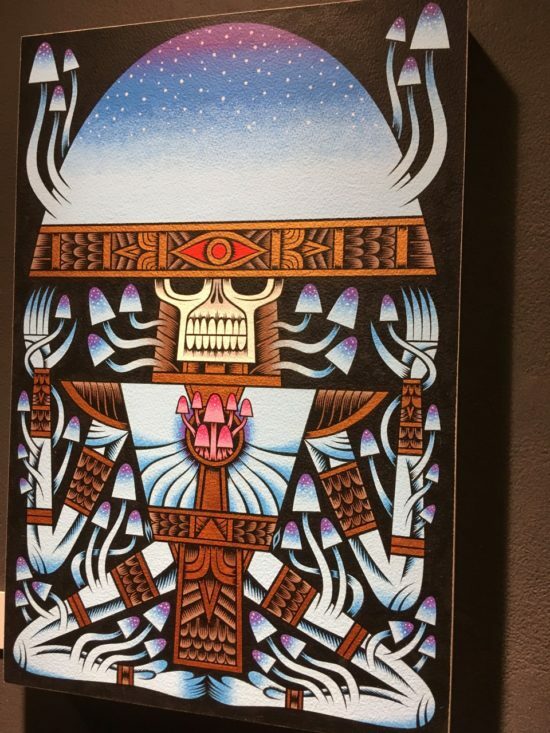 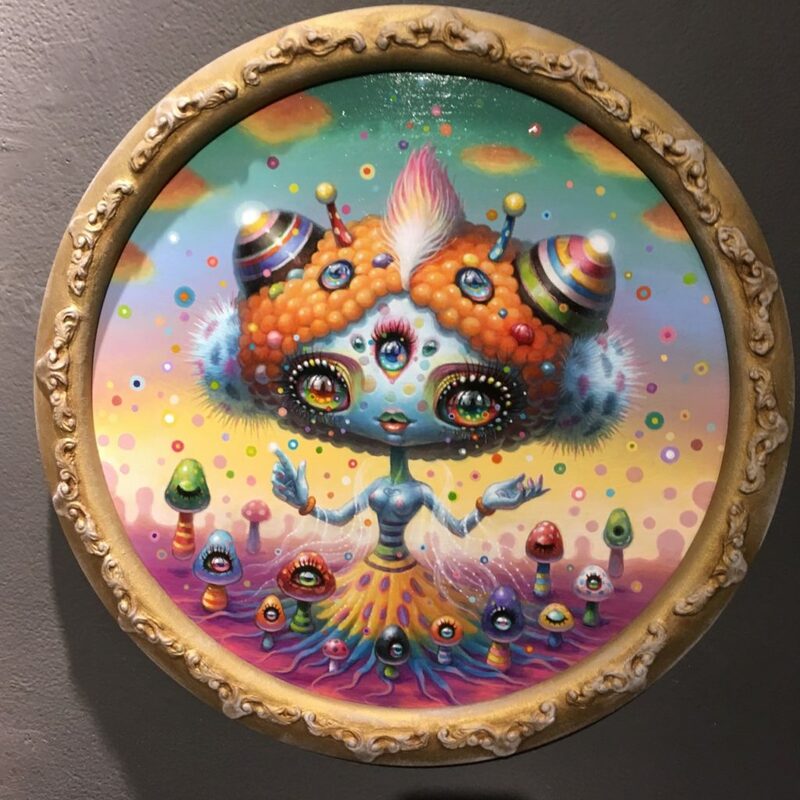 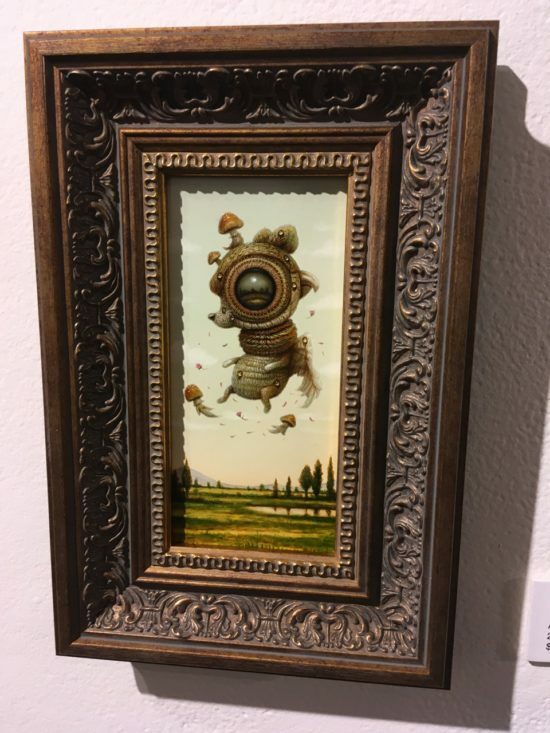 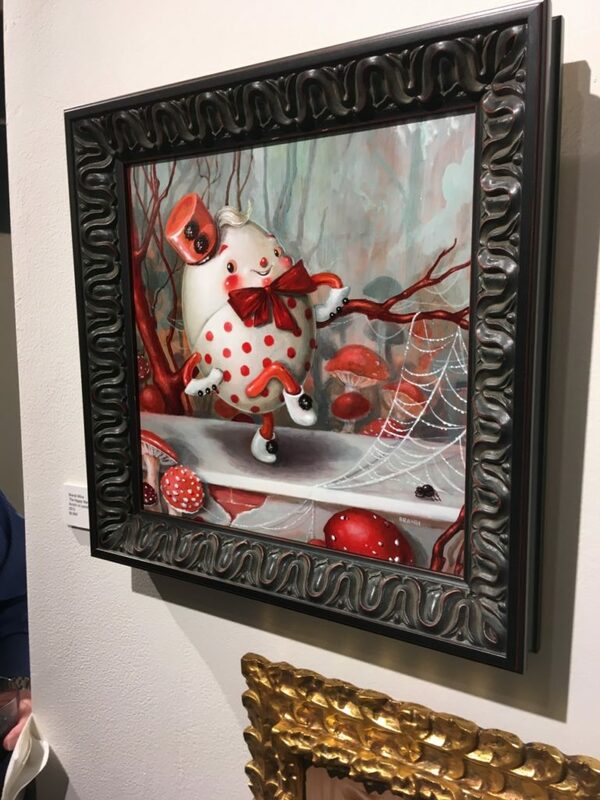 Featured artists include Jennybird Alcantara, Alex Pardee, Andrew Schoultz, Annie Owens, Attaboy, Brandi Milne, Bwana Spoons, Casey Weldon, Charlie Immer, Chet Zar, Christina Mrozik, Christopher Gilland, Chuck Sperry, Crystal Morey, Dave Cooper, Dave Correia, Double Parlour, Ellen Jewett, Erika Sanada, Ferris Plock, Gary Taxali, Gosia, Graham Yarrington, Horrible Adorables, Isabel Samaras, Joe Vaux, John Casey, Junko Mizuno, Kii Arens, Kmndz, Krk Ryden, Laura Berger, Marco Mazzoni, Marion Peck, Mark Dean Veca, Mark Ryden, Martin Ontiveros, Matt Gordon, Michael Campbell, Michael Reedy, Miles Johnston, Naoto Hattori, Nicomi Nix Turner, Renee French, Rob Sato, Robert Bowen, Scott Musgrove, Skinner, Smithe, Steven Cerio, Travis Lampe, Travis Louie, Tripper, Tristan Eaton, Wayshak, Yoko D’holbachie. 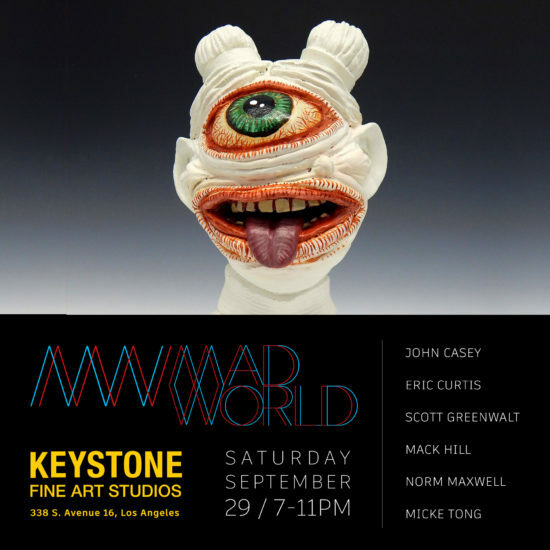 Curated by Idolwild, MADWORLD is a group exhibit featuring work by John Casey, Eric Curtis, Scott Greenwalt, Mack Hill, Norm Maxwell, and Micke Tong at Keystone Fine Art Studios in Los Angeles. 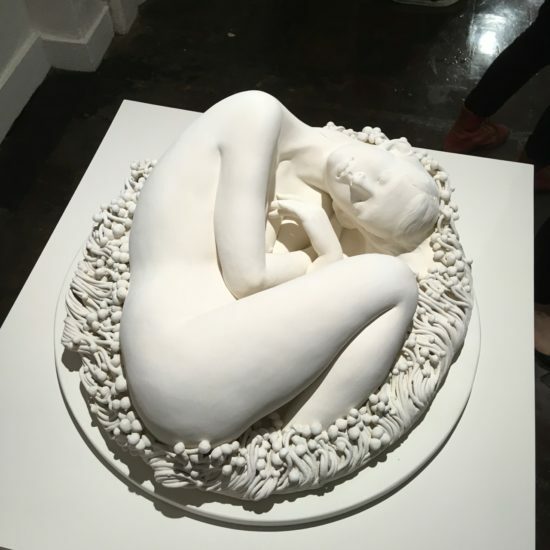 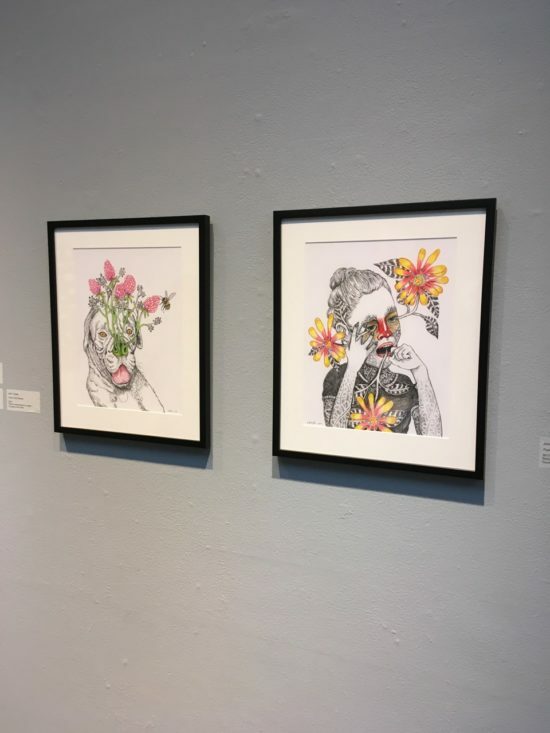 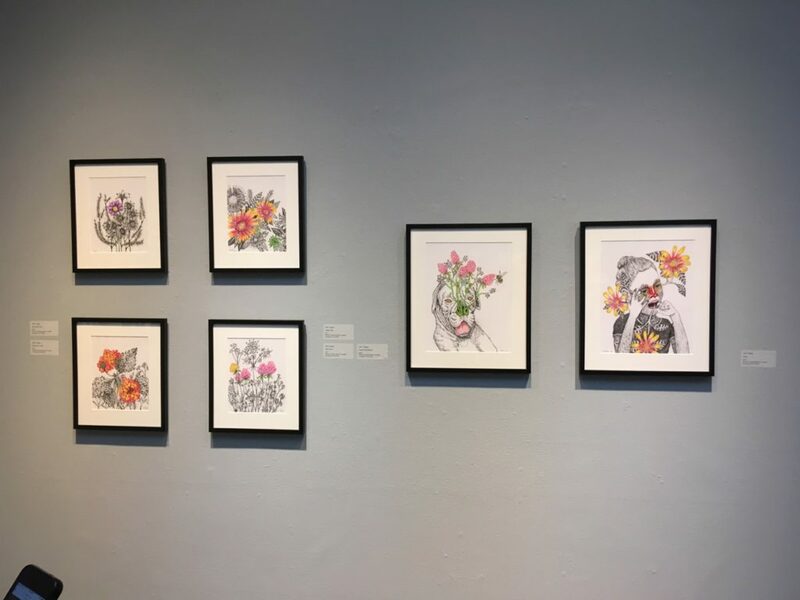 Los Angeles curators, IDOLWILD, consorts with San Francisco’s Luna Rienne Gallery and Keystone Art Gallery to bring an exhibition of emotive syndrome. 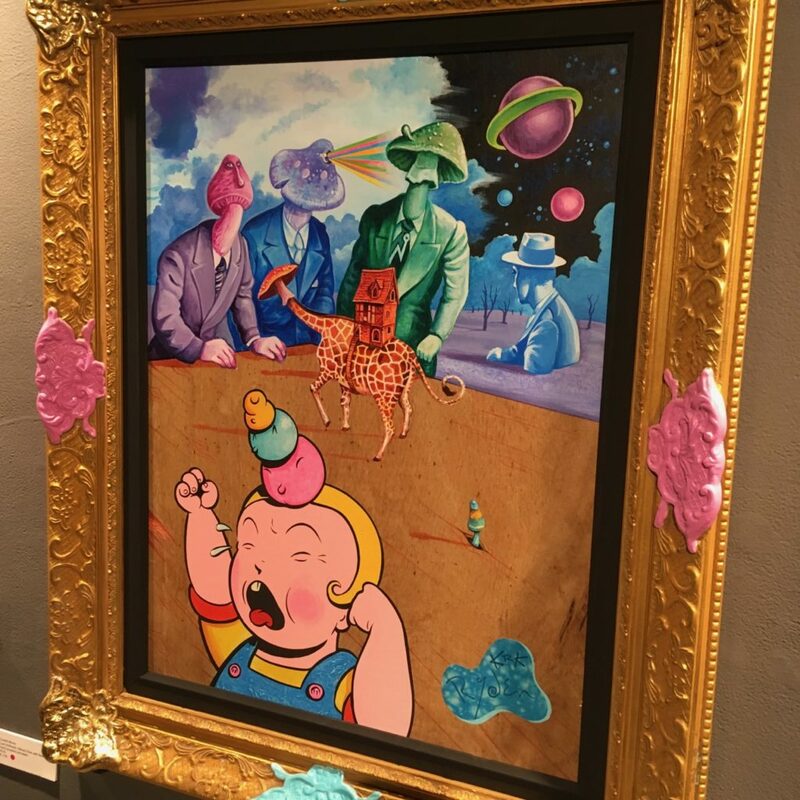 Mad World revels in the artist’s psyche, complex moments where the artist felt compelled to make visual commentations on their personal convictions both in the physical and metaphysical realms. 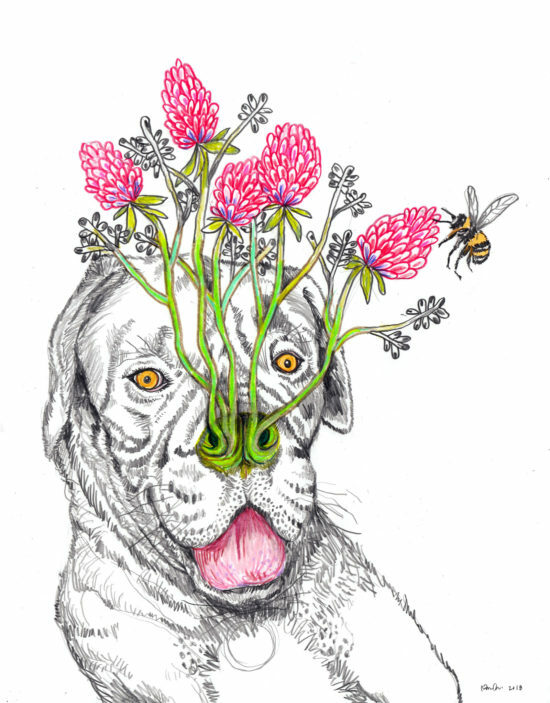 The world is forever in flux and overwhelmed by constant information , it is a reflection of humanity today. 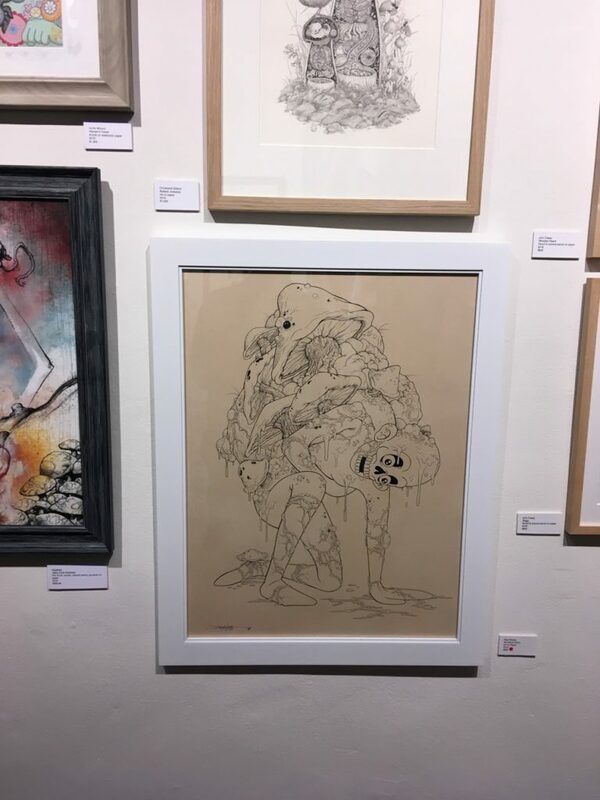 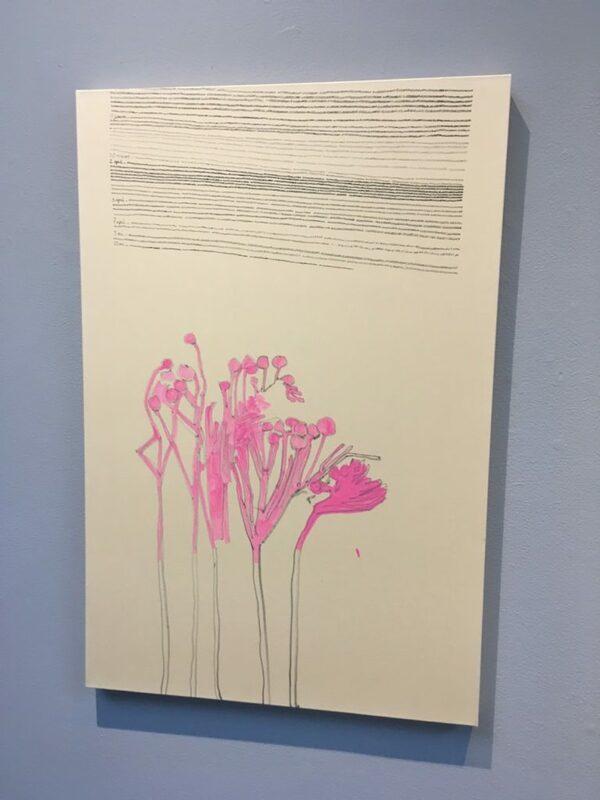 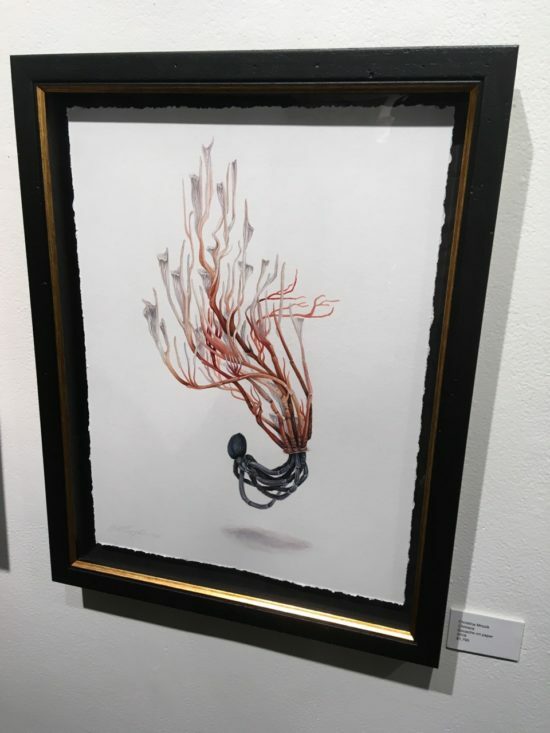 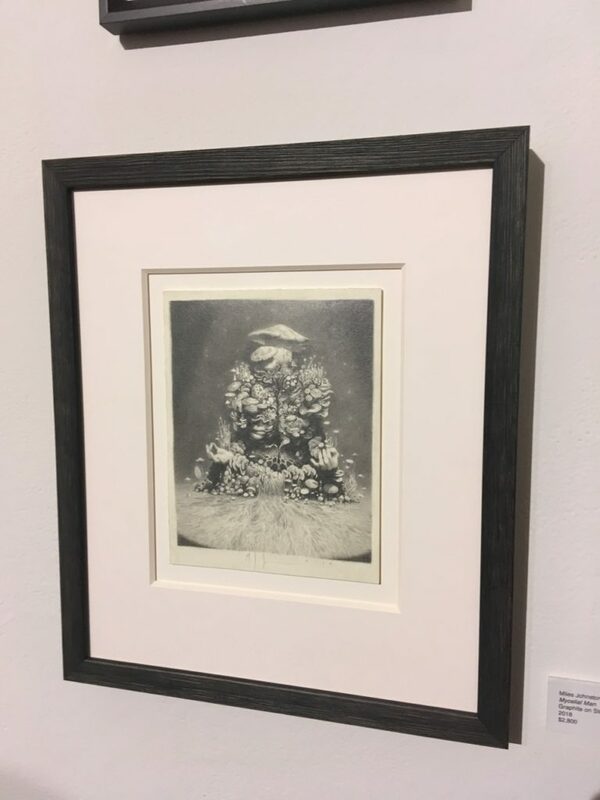 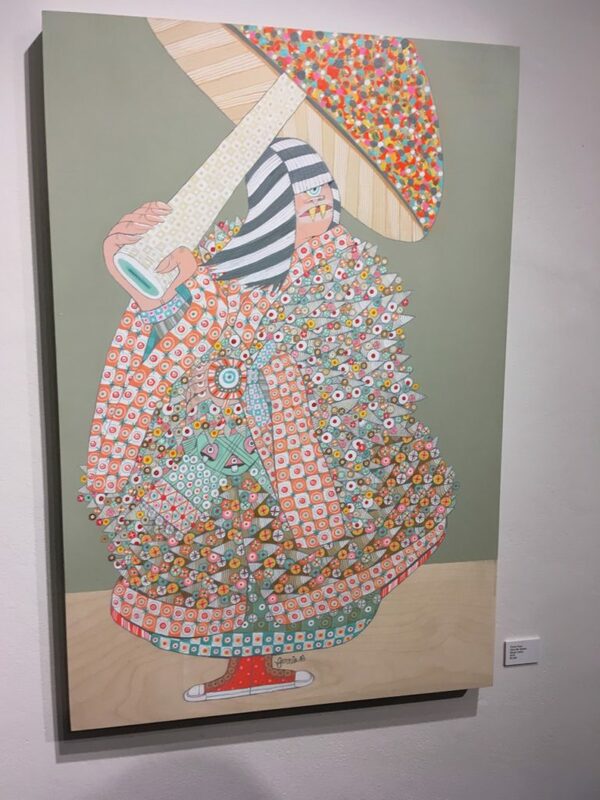 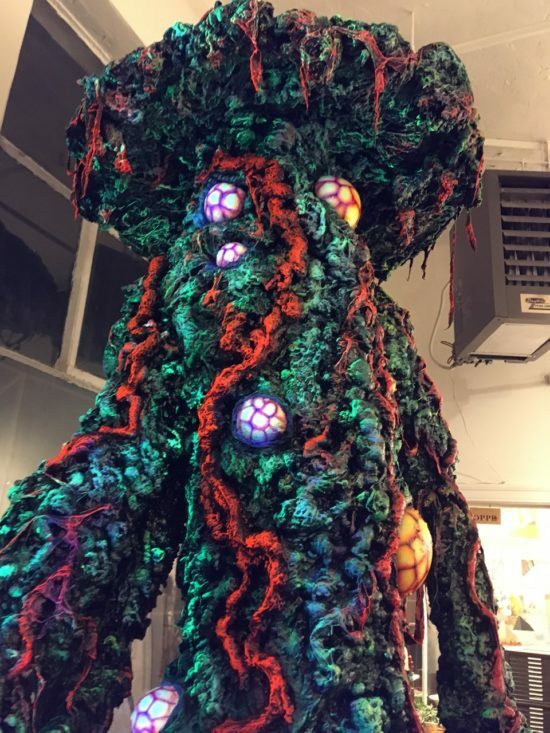 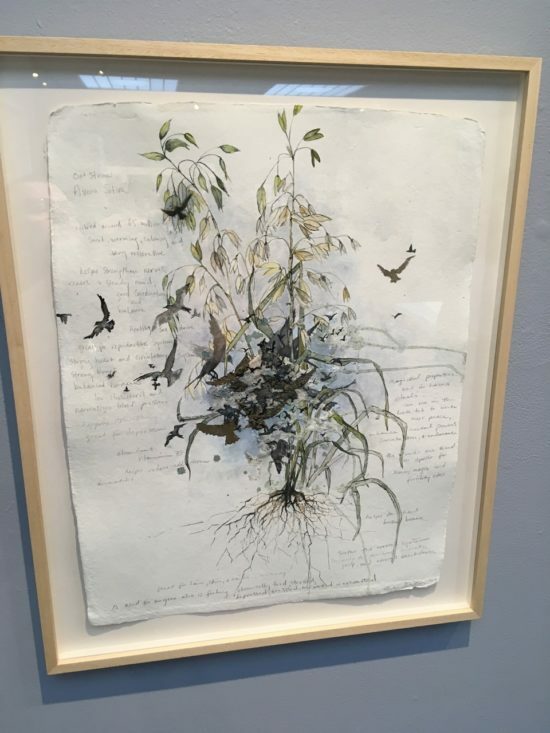 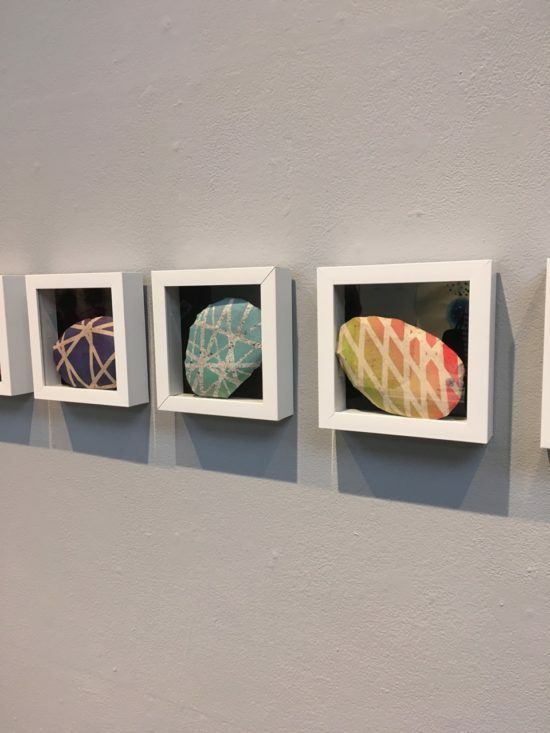 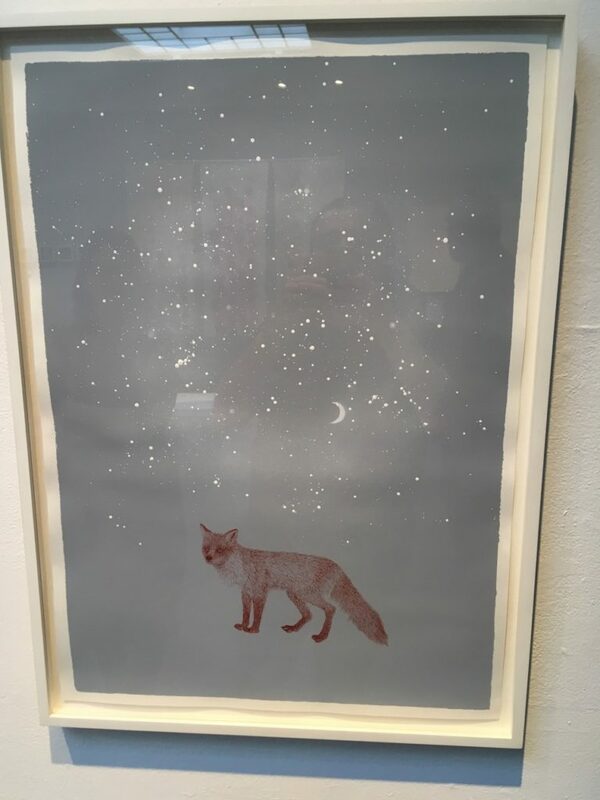 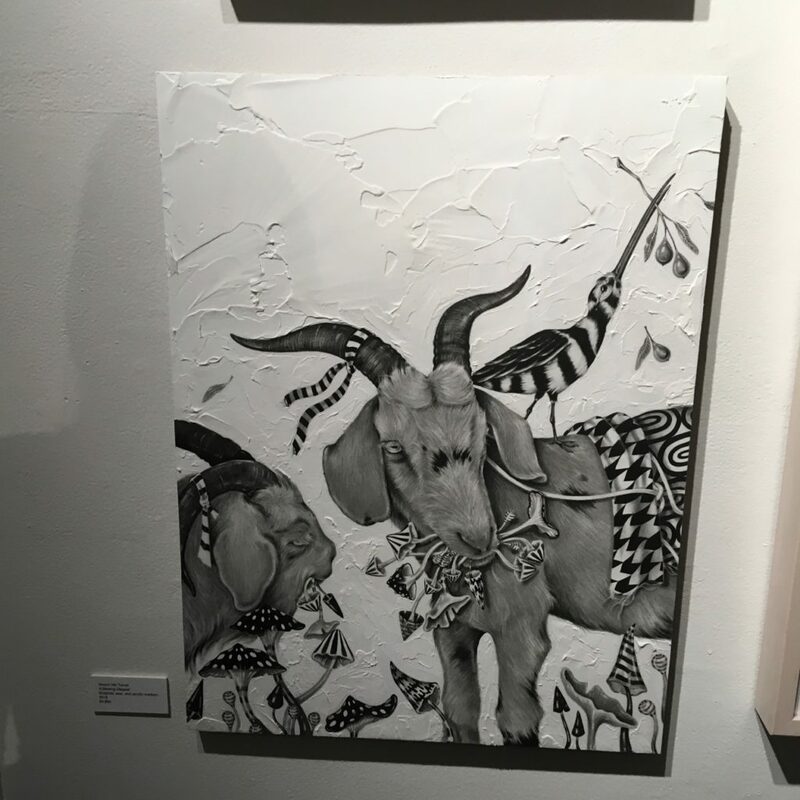 In order to make sense of it all this exhibit explores the unsettling expressions of chaos, curiosity and tranquility by artists Scott Greenwalt, John Casey, Norm Maxwell, Mack Hill, Eric Curtis and Micke Tong. 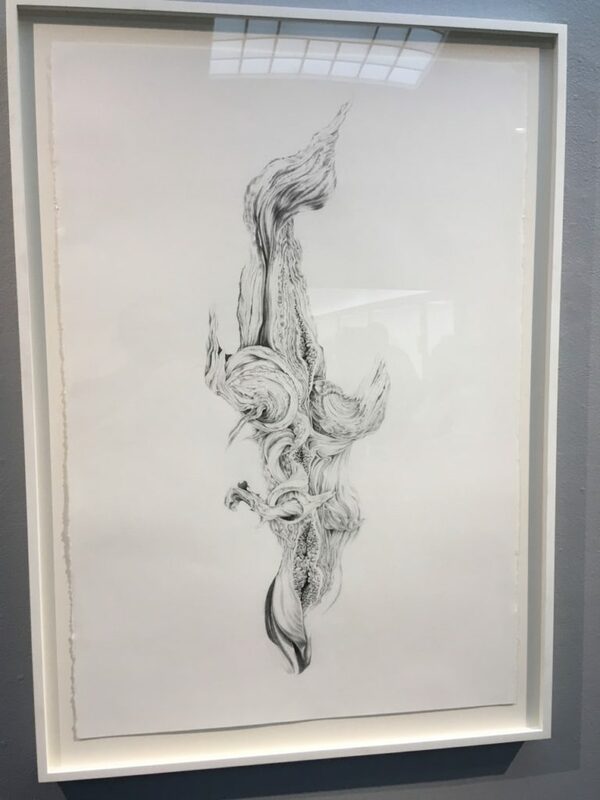 The exhibition opens on September 27 and remains on view October 9, 2018. 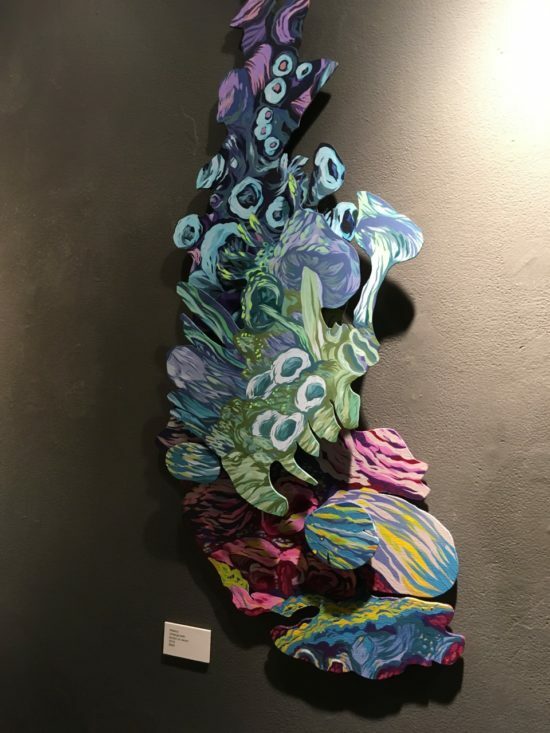 An opening reception will take place on Saturday, September 29th from 7:00pm until 11:00pm. 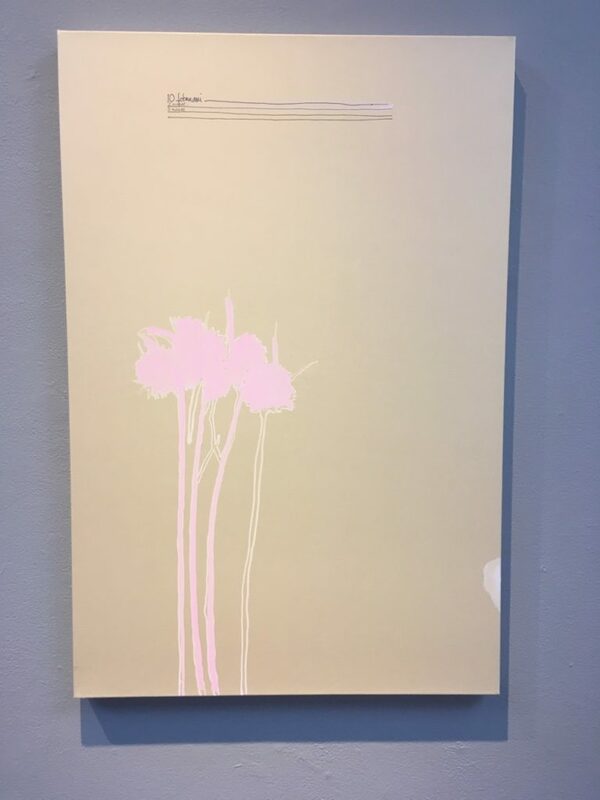 Scott Greenwalt contemplates the inevitable rise and demise of complex systems throughout history, his work explores notions of a manipulated, beautified world on the constant verge of collapse. He envisions moments in time that reflect a tumult lurking just beneath the surface, threatening to rupture with magnificent force. 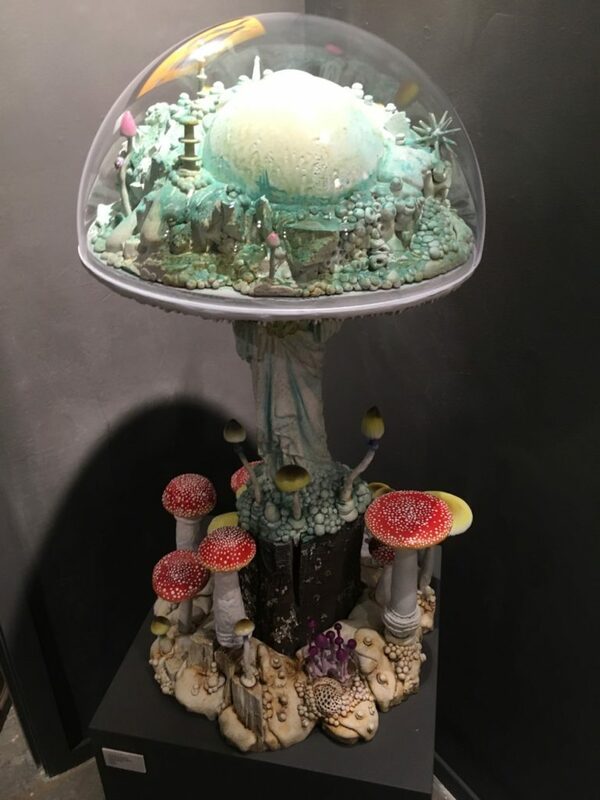 A place where spiritual effluvia roams through space, leaving behind husks of the living things it once occupied, where new forms of life will again flourish with time. 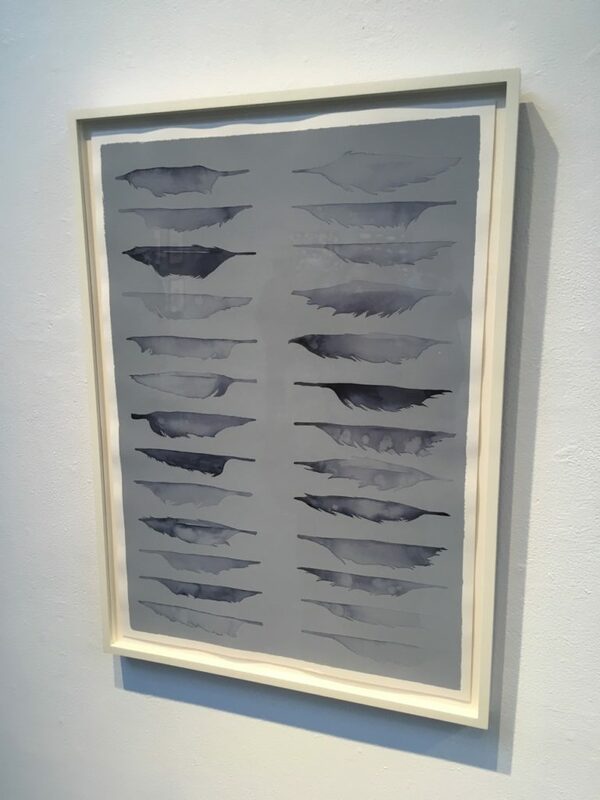 John Casey has been exploring open-ended narratives. 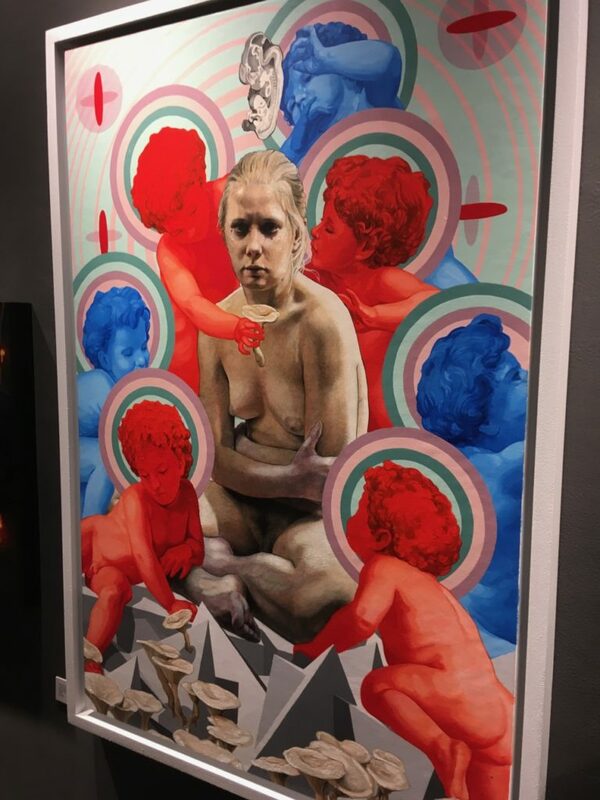 Using mostly a portrait format, he taps into his subconscious and psychological brain space, to conjure loose metaphors and symbols, and weaves them into compelling characters. 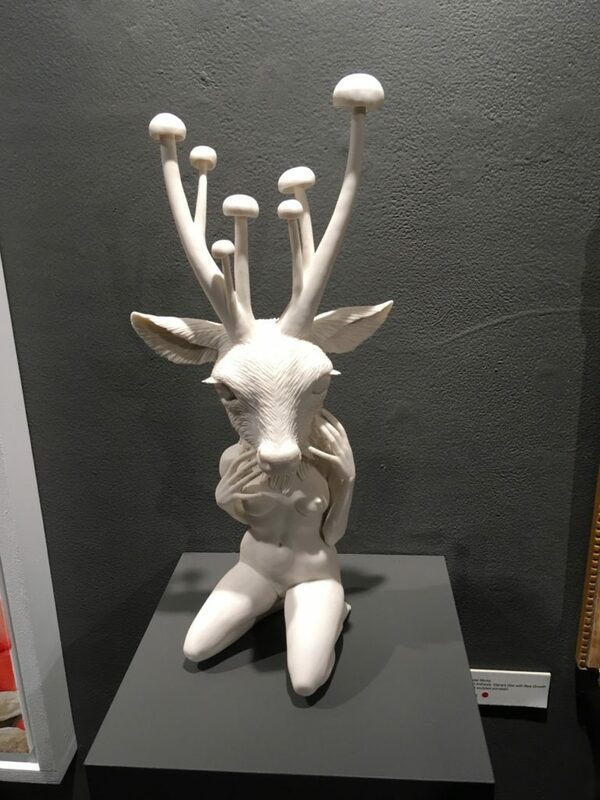 Some of these beings represent a kind of psychological self-portrait. 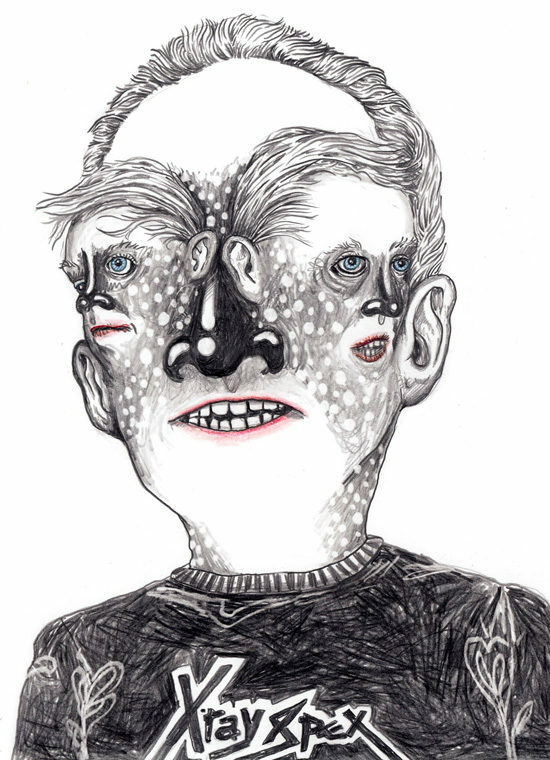 Others represent people he has encountered throughout his lifetime, friends, neighbors, and generally everyday folks. 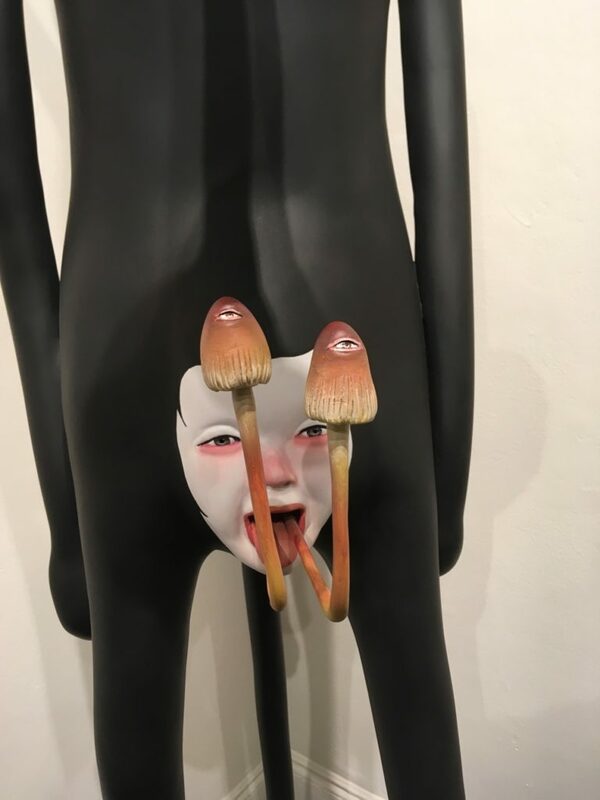 Often these characters are amalgamations. These beings are not specific portraits, more like the impression of various people. 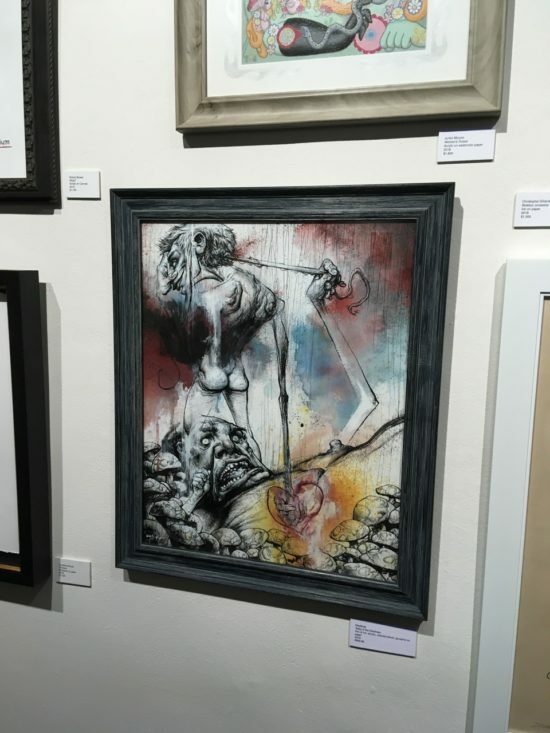 The character’s life-story is left open to interpretation, inviting the viewer into the story-telling process. 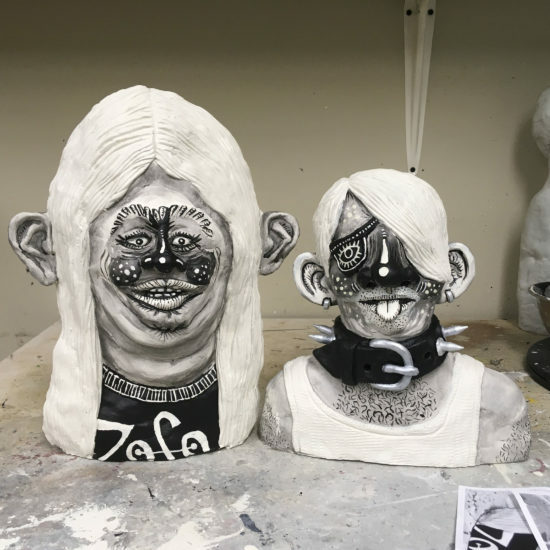 The results are what appear to be damaged or vulnerable beings, but a second look reveals complex and sensitive spirits, more like enthusiastic upstarts, rather than rejects or troublemakers. 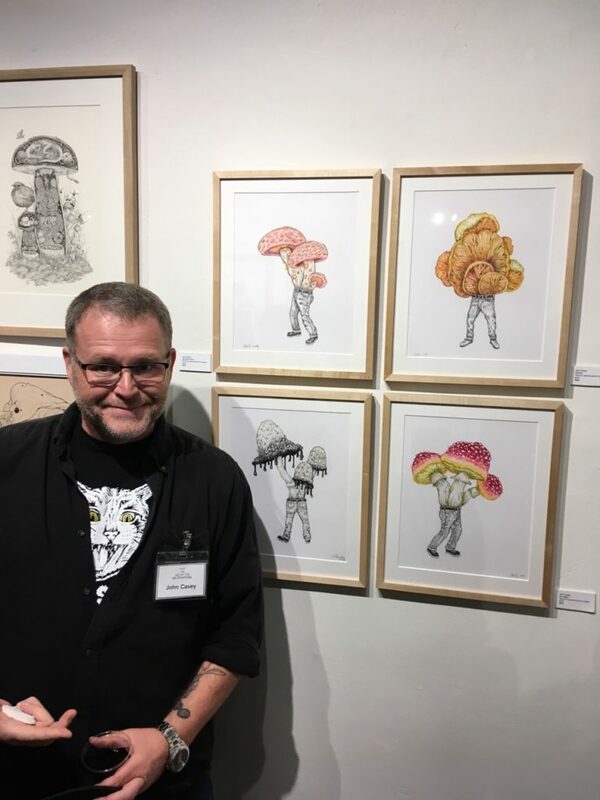 Norm “Nomzee” Maxwell was a visual artist whose education came via the streets (Philadelphia, San Francisco, and Los Angeles) and the Hussian School Of Art. 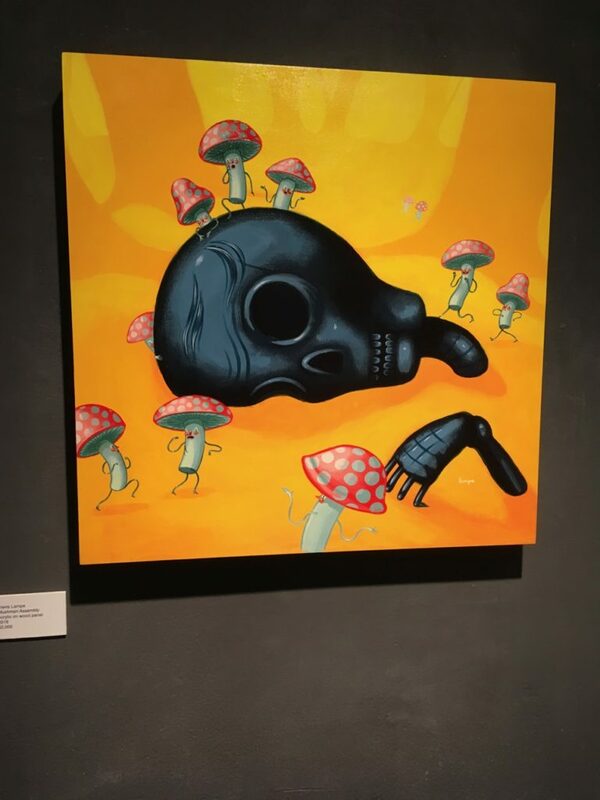 His combination of urban upbringing and fine art training resulted stylistically in an esoteric combination of color, light, and subject matter. 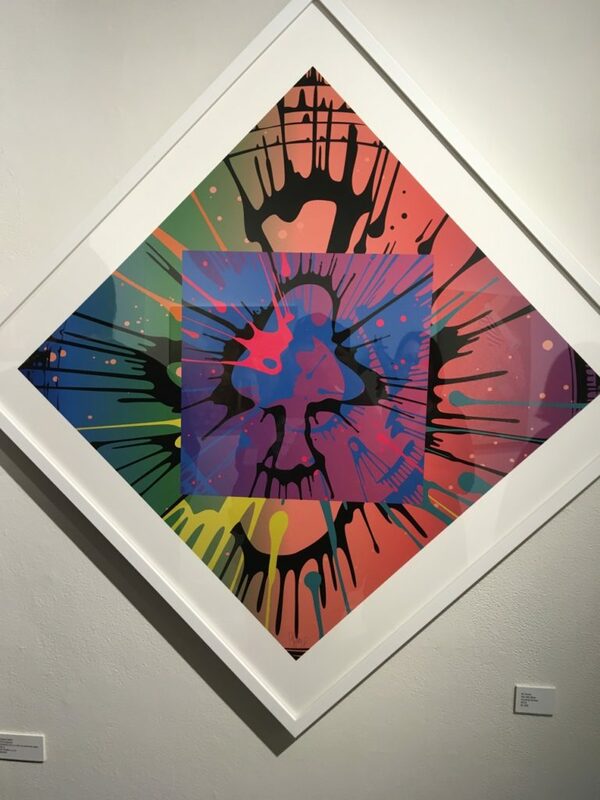 Culturally, Maxwell was a quintessential urban contemporary artist, with a portfolio that included graffiti, street wear design, club flyer and album art, graphic design, set design, and fine art painting. He passed away in 2016 at the age of 47. Mack Hill culls from a long list of influences – Kricfalusi to Kubrick, Bakshi to Bass, Darrow to Daguerre, Hubley to Harryhausen, Twain to… – his approach to art, animation and visual development lingers through time and meanders across media. With a process that traverses back and forth between the digital and the analog worlds incorporating illustration, painting, photography, collage, printmaking and design – the symbiotic end result remains both harmonious and tense. 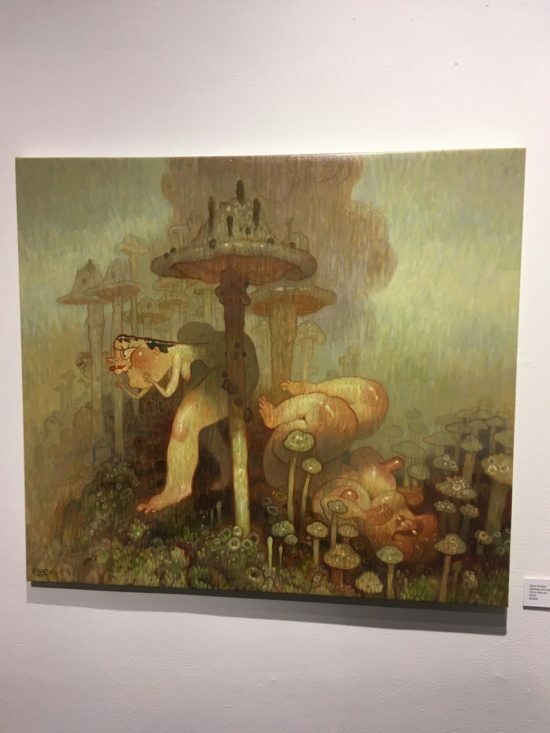 Thematically and visually self-reflective of contemporary society and all of it’s fame and follies, notions of nostalgia across both the urban and suburban landscapes are present allowing an off kilter and inquisitive, sometimes disturbing, fond familiarity to exist. Alternate and fantastical realities with pop cultural homages coupled with the sting from a crack upon the world’s funny bone are presented. 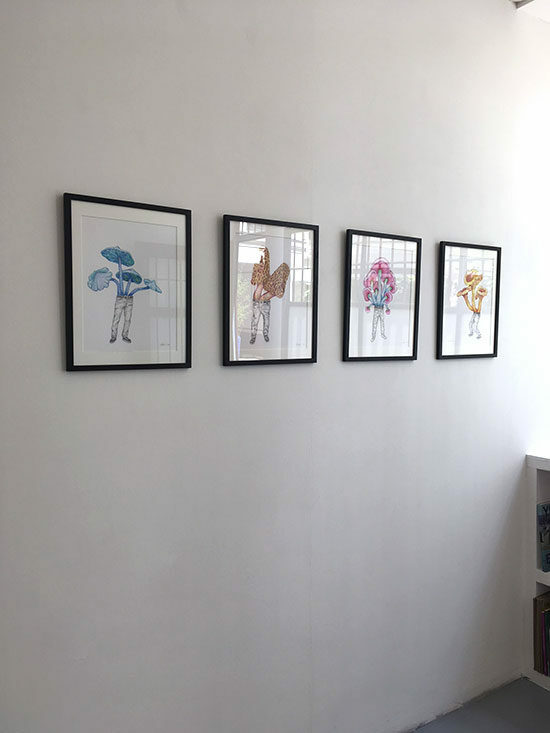 A hand drawn style of animation placed among photographic elements, found imagery, graphic shapes and painterly marks creates a tone and narrative about us and the spaces we inhabit. Eric Curtis: Originally from Albuquerque, New Mexico, Eric moved to California after college and lives in LA, where he has photographed such Hollywood notables as David Lynch, Danny Glover, rocker Tommy Lee, the bands My Chemical Romance and Linkin Park, and rapper Method Man. 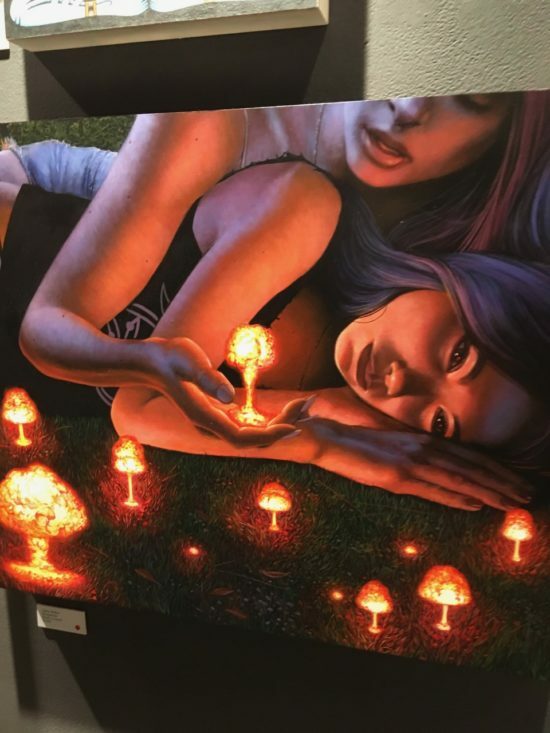 Eric’s unique approach to photography emphasizes bringing studio lighting to the outside world, which allows him to dictate the terms of the environment he’s shooting. Micke H. Tong works in a variety of mediums, including sculpture, digital, drawing, performance and installation. 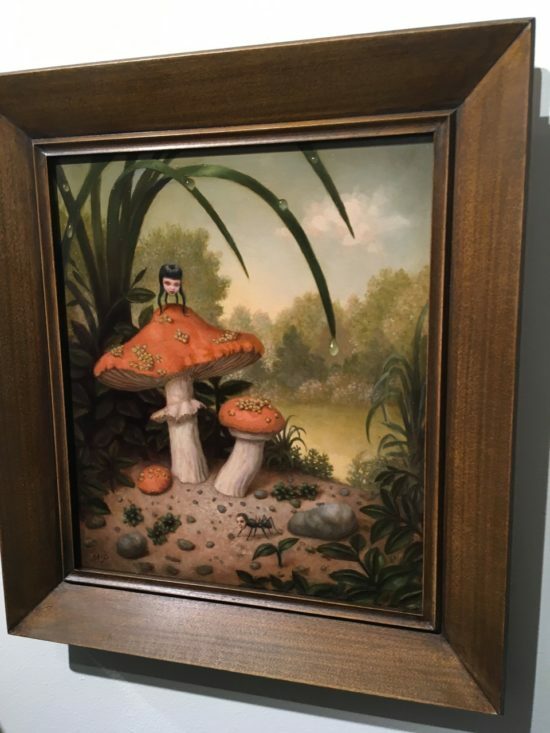 His work focuses on otherworldly historic manipulations. Tong completed his BFA at the Academy of Art University, San Francisco, in New Media in 2000. 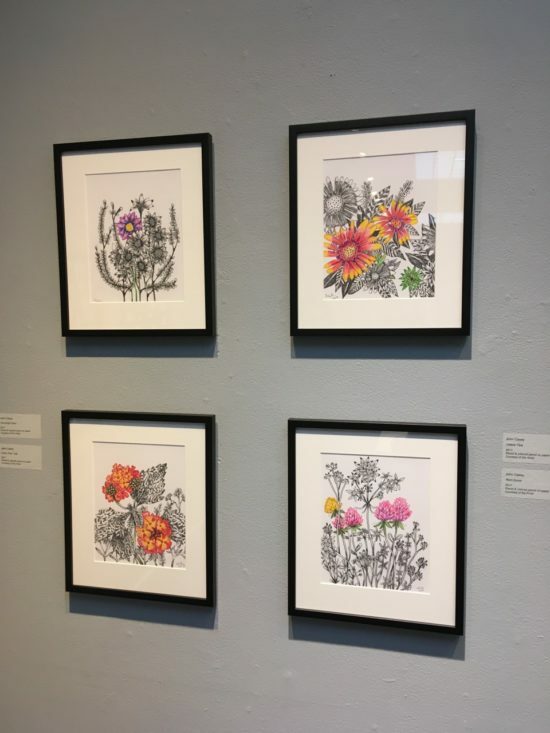 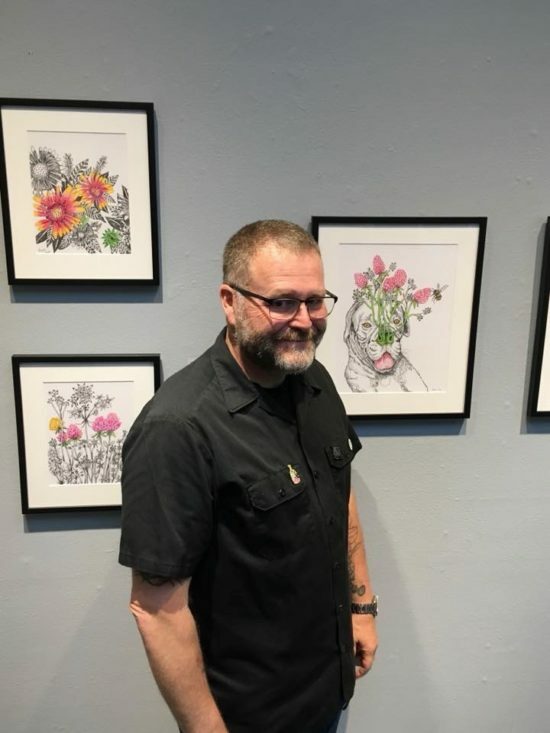 His work has been exhibited at galleries both nationally and internationally. 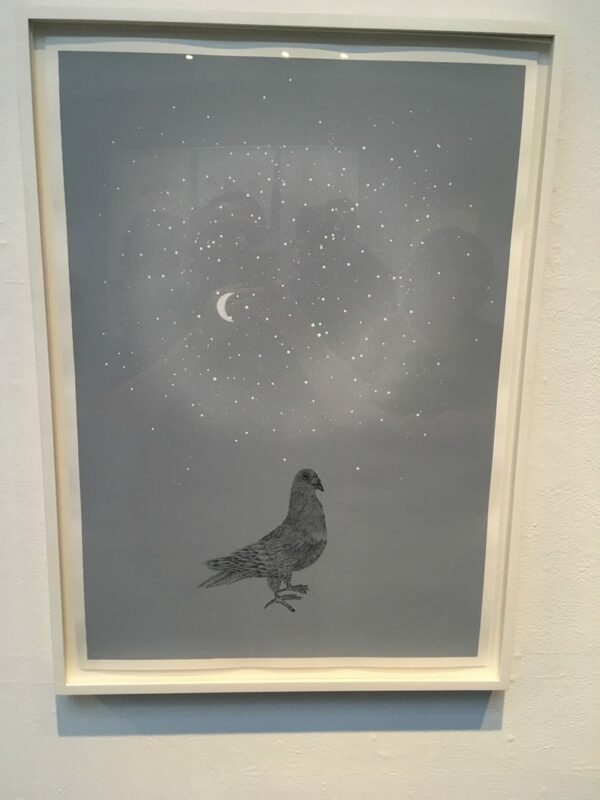 More recently his series, “No Space, No Time”, has been shown at Think Tank Gallery, Los Angeles, and the Orange Country Center of Contemporary Art in Santa Ana, California. 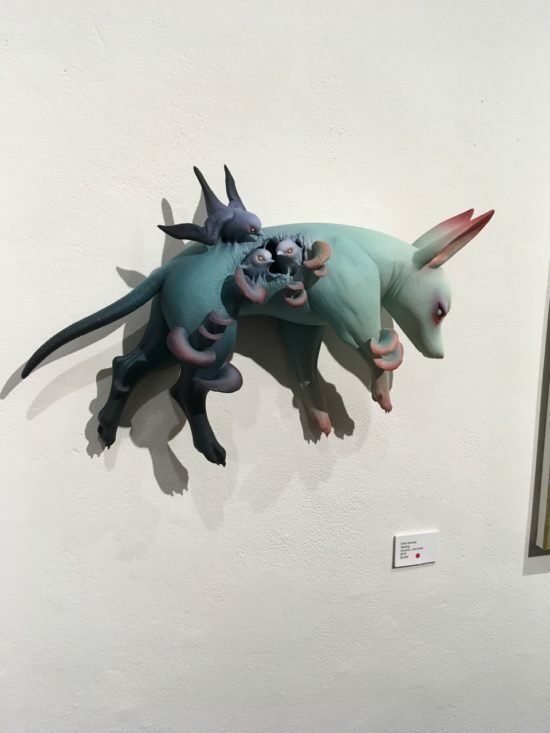 He lives in Los Angeles, California and is a resident artist at Keystone Art Space in the Lincoln Heights district. 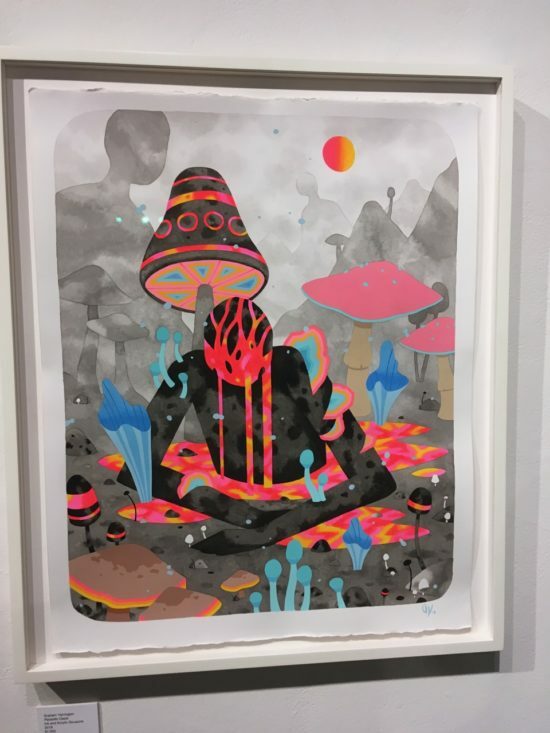 IdolWild are Pop-Up curators based in Los Angeles. 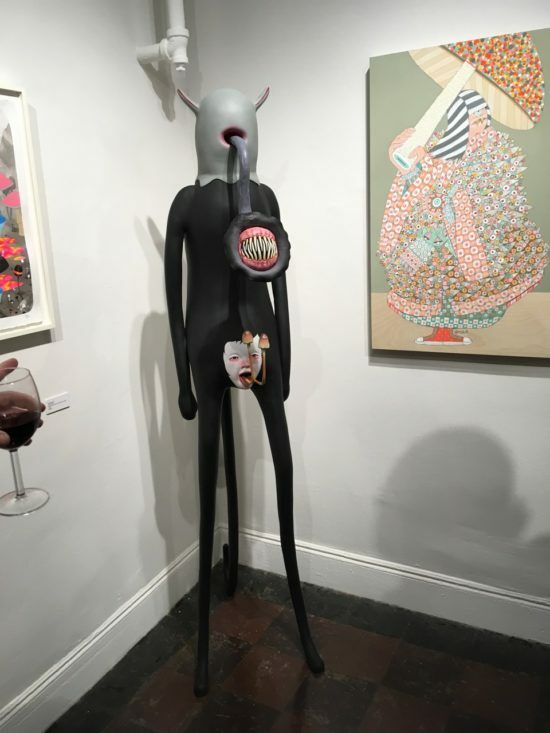 It is our intent to provide quality art shows, performance and installations for the public and collectors. 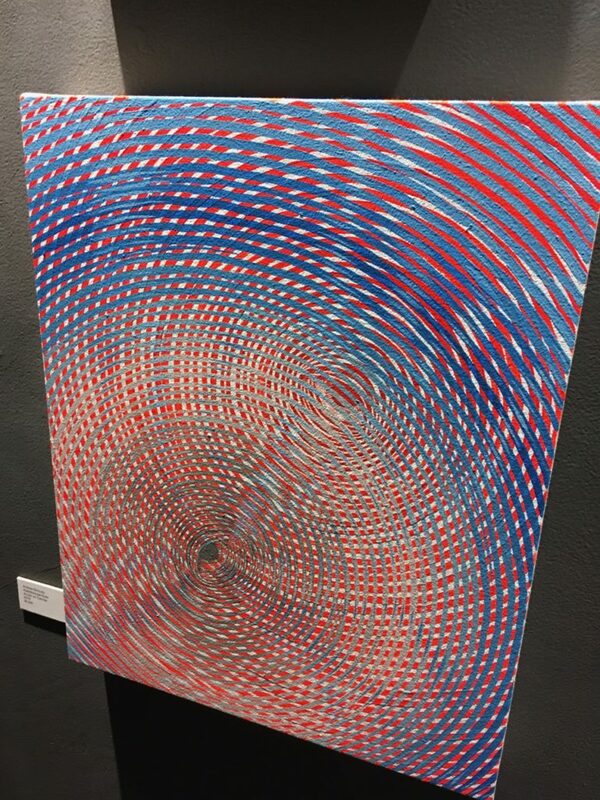 We are groomed to make art an experience of the senses and to bring a unique perspective to visual arts. IdolWild are descendants of curator’s ‘Multimedia Art Collective’, ‘League of Art Scenarios’ and ‘ICONOMY’, which have a rich history of art shows that lead back to the DIY art scene of San Francisco. For over a decade IdolWild has been building artist’s relations, and as artists ourselves, we have a passion for creativity and it is evident in the events we manifest. 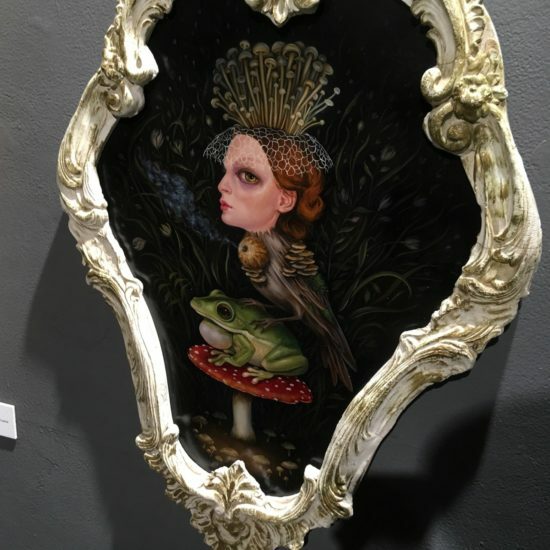 Faultline Artspace in Oakland, CA presents “PERSONA – a portrait show” featuring portraits works from 12 artists. Show runs September 22 – November 3, 2018. Galerie Polaris in Paris, France presents “Il sole è cieco” with gallery artists Etienne Armandon, Bart Baele, Marcos Carrasquer, John Casey, Simon Faithfull, Vanessa Fanuele, Harald Fernagu, Speedy Graphito, Clémence Van Lunen, Sara Ouhaddou, and Simon Willems. 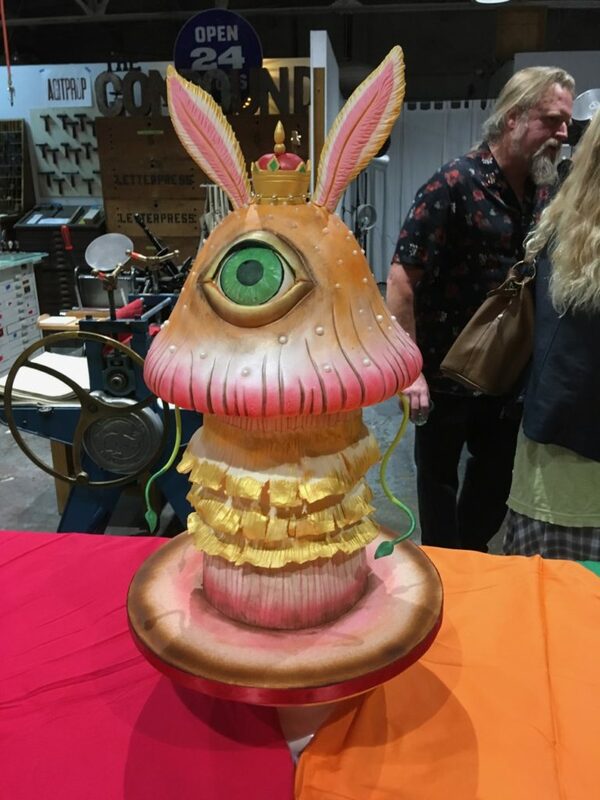 Show runs July, 5 – 24, 2018.